I’ve been living in a building carrying the name Ssangyong. That was ok, albeit it brought on an interesting episode with a flooded apartment plus 5 units below mine being really flooded. This time it’s about the car. It claims to be built upon the previous Mercedes Benz ML class. Maybe. 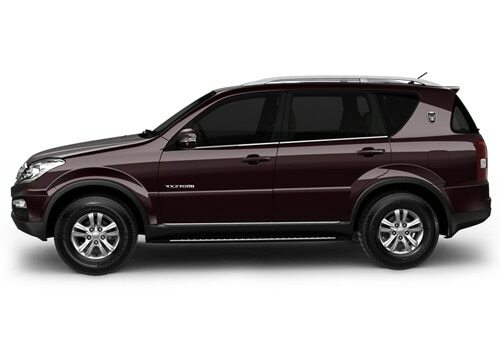 Then Ssangyong went bankrupt and got acquired by Mahindra. Of India. Where I live now. And needed a car once I arrived here. – The 3rd row seats have no head rests. Safety galore! – When the vehicle is parked, engine off, you can’t switch the gear lever from P to R/N/D. Of course, that’s how it’s supposed to be! But — you CAN move the lever half way towards R. Enough to unlock the gearbox lock, the vehicle starts rolling away! – They disassembled the steering wheel, assembled it again. Half the remote buttons work, the other half doesn’t. – The gas of the aircon got refilled and I’m liable to a charge of some 800Rupees (about 10 Euro) — with the vehicle having a 2 years warranty. Not that 10 Euro would hurt much, but what’s the point of a warranty when the factory can’t fill the aircon? 4 weeks later, a guy from Mahindra recently called me and said that this time, while the garage does the “repairs”, he will be around to make sure everything goes well. Well — the car is back from repair now, with, according to them, “all fixed”. Strange then that the gearbox lever still has the same fault, the steering wheel buttons still don’t work and the passenger seat still rattles… Good thing I can’t see any change with the “pick up”, I have hope that they didn’t even touch it. Next up: My experience with the Kenwood Multimedia/Navigation unit that came installed in a Mahindra/Ssangyong Rexton RX7 in India.